The dramatic decline in newspaper employment also means that industry now accounts for a smaller portion of overall newsroom employment across the five sectors. In 2008, newspaper newsroom employees made up about six-in-ten (62%) of all news employees in these five industries. By 2017, they made up less than half (45%). 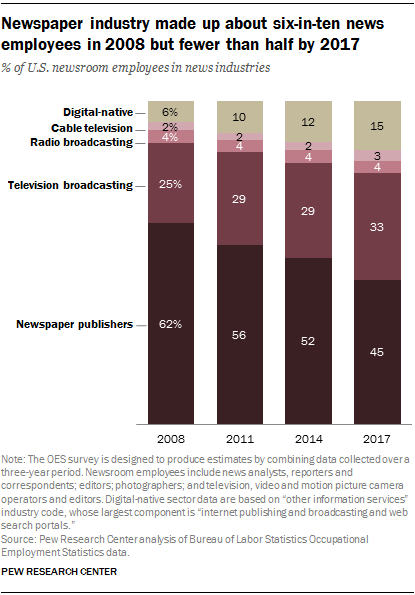 Conversely, television broadcasting numbers now account for a larger portion of all newsroom employees, from 25% in 2008 to 33% in 2017. 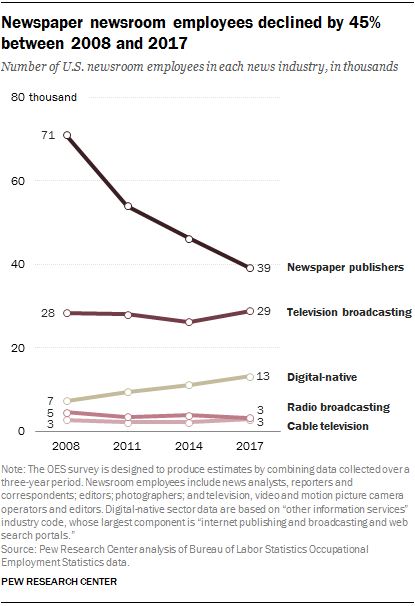 The proportion for digital-native news employees also increased, approximately doubling over the period, from 6% of all newsroom employees in 2008 to 15% in 2017. 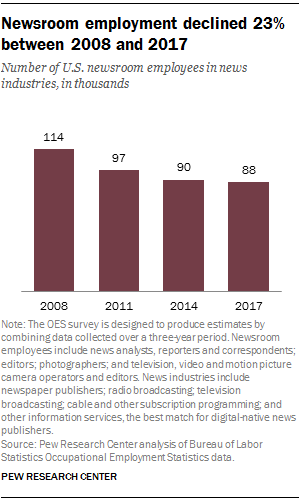 Of the different types of jobs included in the analysis, reporters made up the bulk of all newsroom employees in news industries, representing between 45% and 50% since 2008.